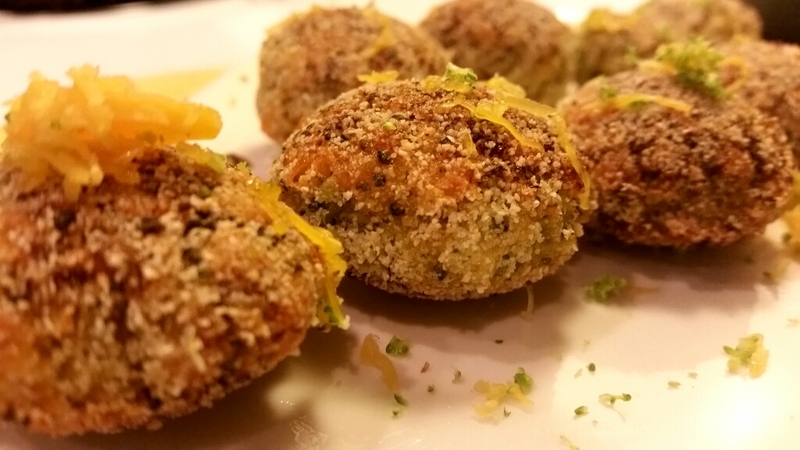 Super easy and super delicious, these brilliant cheese balls just melts in your mouth with distinct flavor of broccoli and mild cheddar cheese. 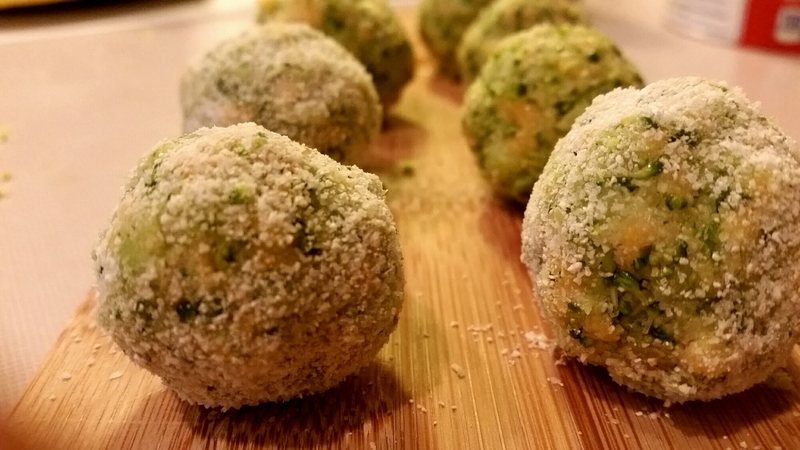 Broccoli cheese balls can be made in oven, electric muffin maker or appe pan. I used appe pan, this is a a traditional utensil of South Indian cooking and generally used to make semolina and lentil appe. I generally bake on electric stove when I want to avoid oven or have to flip few times in between. This is also a kid friendly recipe as kids get some vegetables which they generally avoid! 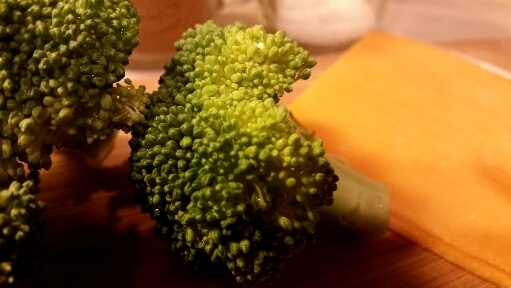 Broccoli has a low glycemic index and has fewer calories and rich in nutrients and blends perfect with mild cheddar cheese which also has richness of many nutrients along with calcium and vitamins! ▪ Mix the grated broccoli with mayonnaise and refrigerate. ▪ In a chopper, (I used progressive hand chopper), finely chop the broccoli florets. ▪ Add the cheese slices, cornmeal, salt and pepper and mix well using the chopper. Get a fine grain texture. 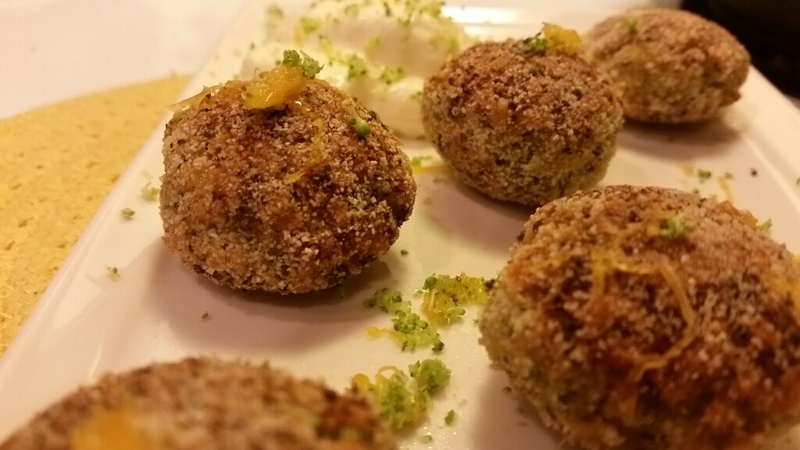 ▪ Grease hands with oil and make small balls of the prepared mixture. You will get approx 8 small balls. ▪ Dry coat with cornmeal. ▪ To bake, line the tray with greased baking sheet and bake for 15-20 minutes, flipping once in between at half time. ▪ To make on electric stove using appe pan, grease the pan and cook on medium heat flipping in between. 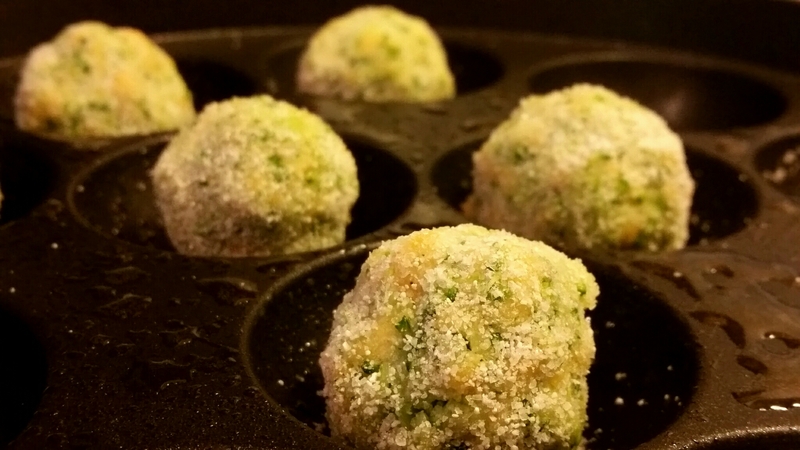 ▪ Garnish with grated broccoli and cheese and serve with prepared broccoli mayonise! I’ve not seen this before 🙂 so creative!